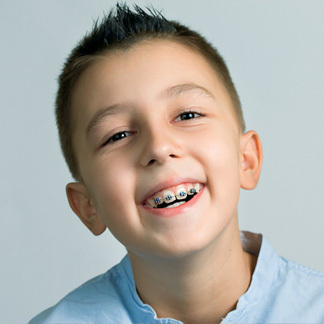 When you get your braces on, you may feel general soreness in your mouth and teeth may be tender to biting pressures for three to five days. This can be relieved by rinsing your mouth with a warm salt water mouthwash. Dissolve one teaspoonful of salt in 8 ounces of warm water, and rinse your mouth vigorously. If the tenderness is severe, take aspirin or whatever you normally take for headache or similar pain. The lips, cheeks and tongue may also become irritated for one to two weeks as they toughen and become accustomed to the surface of the braces. You can put wax on the braces to lessen this. We'll show you how!